Special Fans Cheer for Vinceremos; “He runs for us.”: The 90th running of the Toyota Blue Grass Stakes takes place on Saturday, April 12, 2014 and is the centerpiece of the fifteen-day Keeneland spring meet in Lexington, Kentucky. The 1 1/8 mile $750,000 GI Toyota Blue Grass Stakes on the “all weather track” is a major qualifier for the 2014 Kentucky Derby. A total of 170 Kentucky Derby leader board points will be awarded for the 2014 Blue Grass Stakes separating fourteen Derby hopefuls into only a few true Derby contenders. Vinceremos brings the magic to the Blue Grass Stakes for many fans as his name gains Vinceremos Therapeutic Riding Center attention and raises public awareness of the benefits of Hippotherapy. Vinceremos, shown here with jockey Edgar Prado, will break from post position #12 in the Toyota Blue Grass Stakes at Keeneland on Saturday, April 12, 2014. Vinceremos, who we highlighted in a heartfelt story on March 5, 2014 on how the colt’s name brought awareness to Vinceremos Therapeutic Riding Center, will break from post position #12 with regular jockey Edgar Prado in the Toyota Blue Grass Stakes. The three-year-old colt that is co-owned by WinStar Farm and Twin Creeks Racing Stables is currently two-for-four finishing second last out in the 2014 Tampa Bay Derby (GII) behind Ring Weekend and jockey Daniel Centeno. 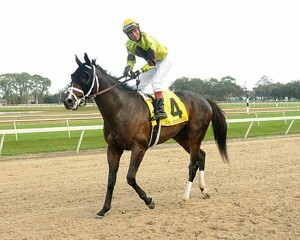 Prior to that Vinceremos won the Sam F. Davis Stakes on February 1st at Tampa bay Downs and a Maiden Special Weight on January 4th at Gulfstream Park. The Todd Pletcher trained colt has gained many fans over the past few weeks that will surely be rooting for Vinceremos all the way down the Kentucky Derby Trail. 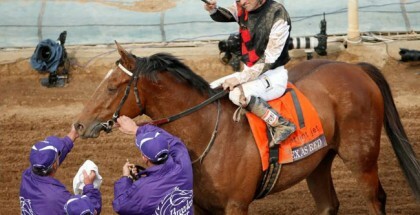 Vinceremos is currently in 19th place on the 2014 Kentucky Derby leader board with a total of 20 points. 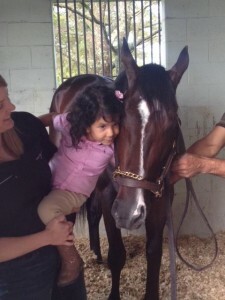 Aimee Tompkins and Adison met Vinceremos at Palm Meadows Training Center and hope he will make his way down the Triple Crown Trail. 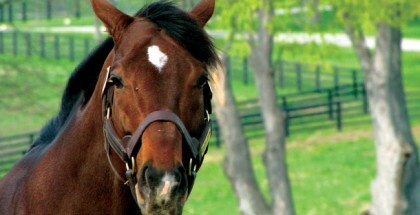 The colt’s name raises awareness to Vinceremos Riding Center and the benefits of Hippotherapy. Lady and The Track wishes WinStar Farm, Twin Creeks Racing Stables, Edgar Prado, Todd Pletcher, and the beautiful Vinceremos the best of luck in the 2014 Blue Grass Stakes. The Toyota Blue Grass Stakes is the 11th race of the day with a 5:45 PM post time. Keeneland is hosting many great events this weekend including a meet and greet with the talented hat designer Christine A. Moore. 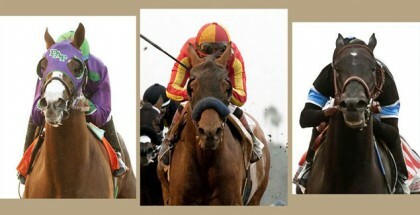 Be sure to check out the calendar at Keeneland.com for additional information. 12 Vinceremos 8-1 Prado/Pletcher UPDATE: Julien Leparoux to ride Vinceremos after Prado injured.